Shut up and dance | Be Kind. We're all in this together. Life is a precious gift. We can sit around sniveling and complaining “poor me”…. or we can shut up and dance. Let me introduce you to Jean Sok aka B-Boy Hourth. Well…he has one leg. Not sure if you noticed that. Imagine that can be tough. What kind of shot can you really get. Jean didn’t let that stop him. He actually tours as a dancer with Cirque du Soleil’s Michael Jackson themed show. He’s been showcased by dancing at the Billboard awards, been on the Ellen Show and had a spotlight dance on So You Think You Can Dance. Don’t let anything stop you….there is nothing that is holding you back that someone hasn’t overcome. 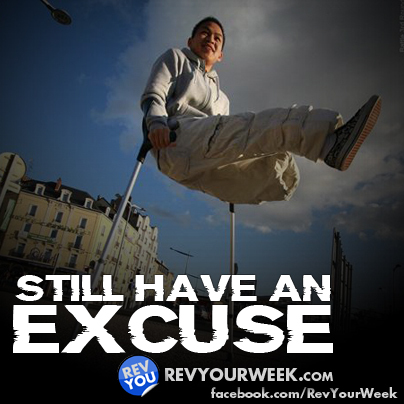 Still have an excuse? Check out Jean’s moves in this video. Then shut up and dance.